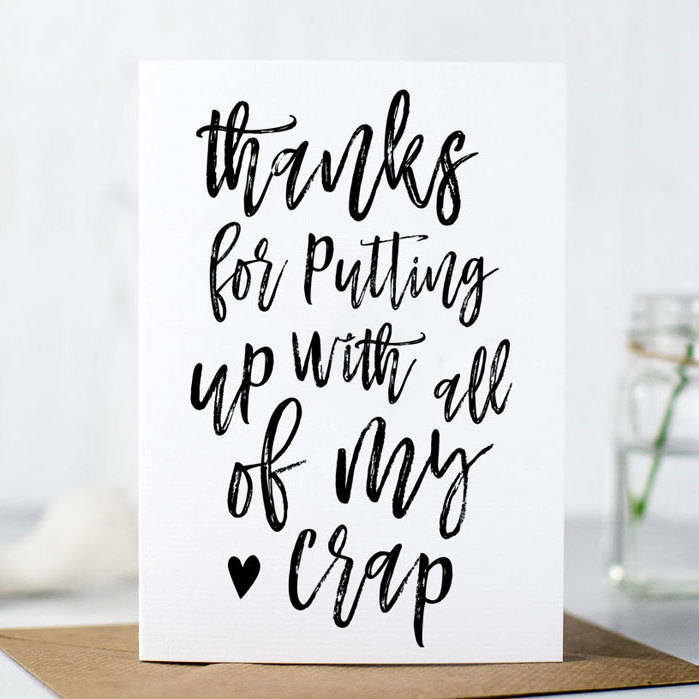 Thank your mum for putting up with you during your tears and tantrums with this funny mother's day card. This mother's day card is beautifully printed on 300gsm textured card which has a soft and luxurious feel to it. Printed to order in A6 size. 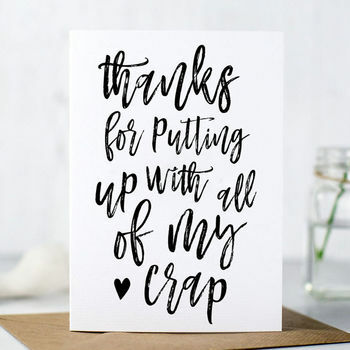 The inside is left blank so that you can write your own mother's day message.